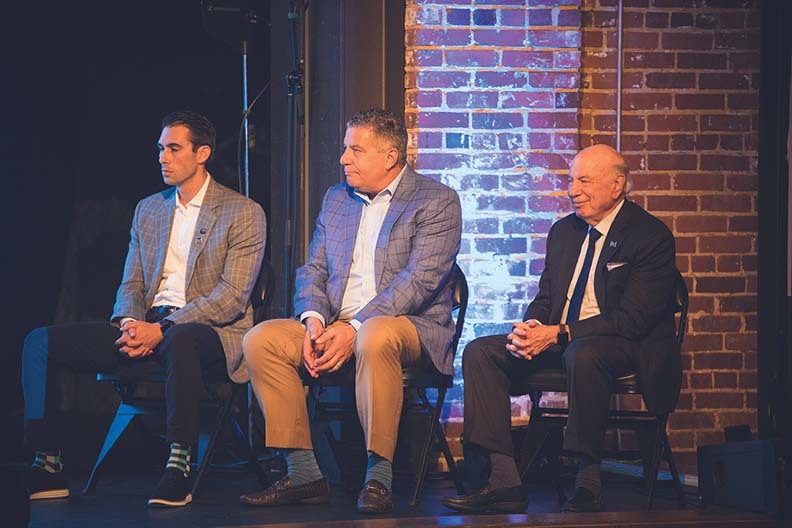 Matching up a Southeastern Conference and Conference USA team at the Birmingham-Jefferson Convention Complex Legacy Arena for the inaugural Mike Slive Invitational was a slam-dunk idea for organizers. The Dec. 15 basketball game between the Auburn Tigers and the UAB Blazers will honor the memory of Slive, who was the commissioner of both conferences, with a portion of the proceeds benefiting the Mike Slive Foundation. The Foundation partnered with Knight Eady to organize the event. In September 2017, Slive and his family launched the Mike Slive Foundation for prostate cancer research. The mission has been to save lives through cutting-edge research and raising awareness of prostate cancer, which affects one in seven men and is the most common cancer among men. Slive, who was an involved member of the Birmingham Jewish community while serving as the SEC commissioner from 2002 to 2015, passed away this past May after a hard-fought battle against prostate cancer. Ed Meyerson, Foundation co-founder and board member, said the Foundation raised more than $500,000 in 13 months. Auburn Head Coach Bruce Pearl called Slive one of the finest people he has ever known, and added he is proud to have his Tigers play in the inaugural Mike Slive Invitational. Slive was friends with both Pearl and UAB head coach Rob Ehsan. He left his seven-year stint with C-USA, the conference UAB plays in, for the SEC, the conference Auburn plays in. The ultra-competitive UAB-Auburn series is tied 10-10 over the series’ 20 meetings. The Tigers narrowly beat the Blazers 85-80 last year at UAB’s Bartow Arena.